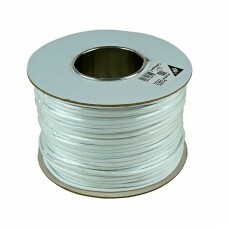 RG59 coaxial cable (foil shielded) Perfect for applications such as CCTV, home theater, etc. Prof..
50 τεμάχια. 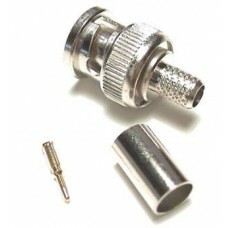 BNC connector for coaxial RG59 cable Crimping type Suitable for use with T-301A Crimping.. 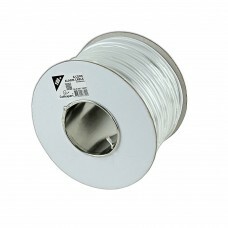 Specifications Cable: 6 color wires Conductors: stranded copper 7 x 0.18 mm Max. 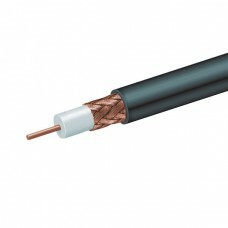 voltage: 60 Vrms Ma..
SpecificationsSpecificationsCable: 6 color wiresConductors: stranded copper 7 x 0.18 mmMax. voltage:..